In Silico Genesis received an invitation by a representative of UKTI Japan, to present the last slot of UKTI CNS Trade Mission’s seminars held in British Embassy Tokyo on Friday, the 7th of November, 2014. This generosity has been made possible by a fellow British delegate who presented at British Embassy Seoul, alongside with the presentation by In Silico Genesis on Tuesday, the 4th of November, 2014. Kimberley of In Silico Genesis is deeply thankful to UKTI Japan and the central CNS Trade Mission team in London altogether, making this amazing opportunity possible. 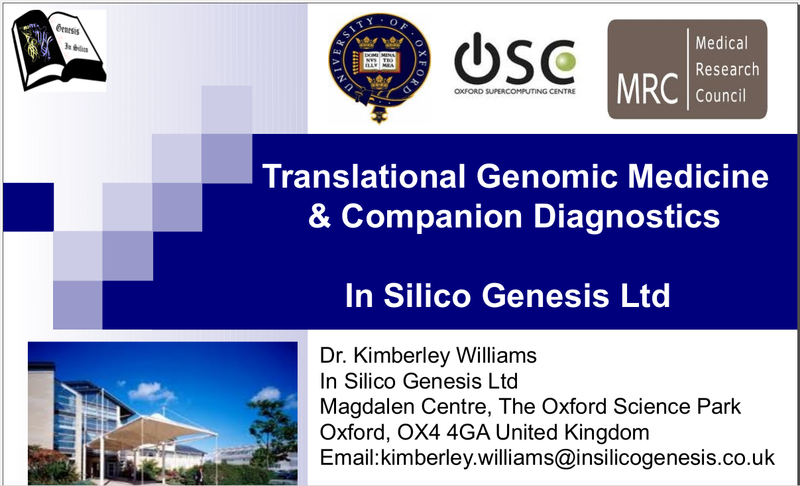 « In Silico Genesis is on UK Trade & Investment CNS mission to British Embassy Seoul of South Korea in November, 2014.